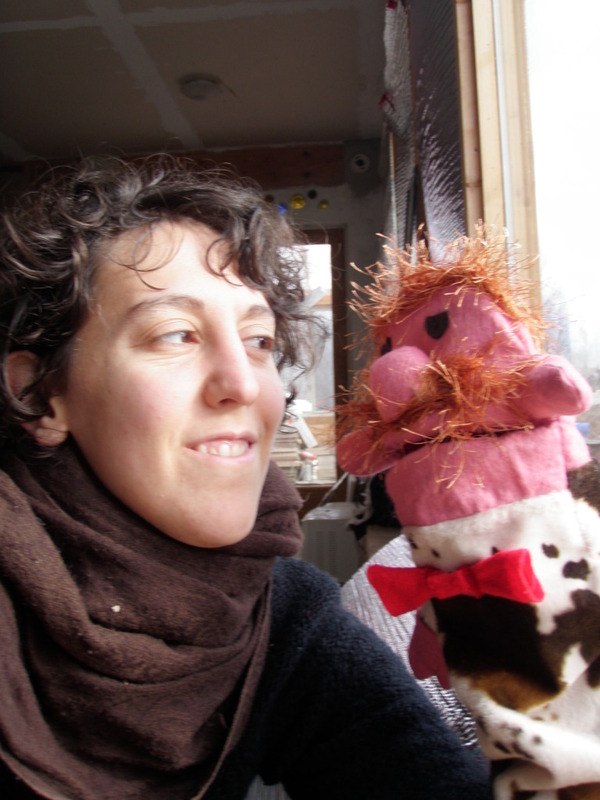 Lily Gershon – I’m a puppeteer, producer, singer and puppet maker, among other things. I got my masters in Education and was once an English teacher but now I make puppets, perform puppet theater and work with local schools. I am the director of Lilypad Puppet Theatre – a non-profit dedicated to puppet arts! My grandmother saved everything and one day I found myself owner of a lot of old, ugly sweaters with giant shoulder pads, bottles of sequins and jars of corks. I used these things to make puppets to entertain my friends but soon found a lot of satisfaction in working with reclaimed things and talking to my hand. My goal is to make art out of what I find or already have while being incredibly silly. I believe in the ability of puppetry to teach empathy and compassion! I’m also part of a jazz duo in which I sing in a number of languages. I combine my puppet making and my singing to create performances for kids and adults. Matthew Ocone, a classically trained guitarist, plays live music for my puppet shows – and everyone lives happily ever after, sure. I know this is last minute and I’m not sure what we could afford, but could we talk about your services for a field day event at Groton Elementary School for Friday 6/16, rain date 6/19?